The second ship in MSC's new line of ocean-liners, the Meraviglia-generation, will be launched in March 2019. 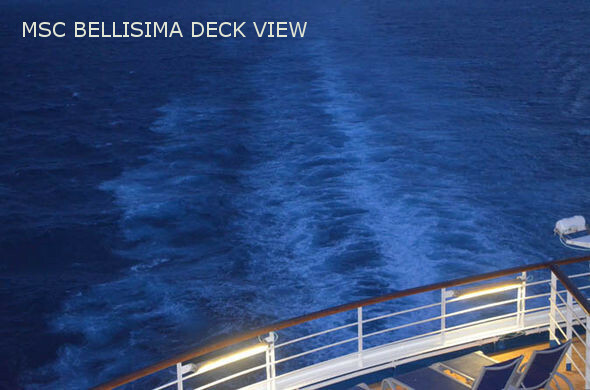 The ship will be called "Bellissima", and will have similar facilities to the MSC Meraviglia, such as waterslides, a full-sized double bowling alley and an 80-metre long LED ceiling. Something new will be the voice-enabled AI assistants in each cabin, which passengers can ask questions (e.g. what excursions are available) or tell to do things (e.g. play music); and which are fluent in 7 languages (Brazilian Portuguese, English, French, German, Italian, Mandarin and Spanish). Over time the voice assistants will be installed in all the ships in MSC Cruises' fleet. 15 Nov 2017. 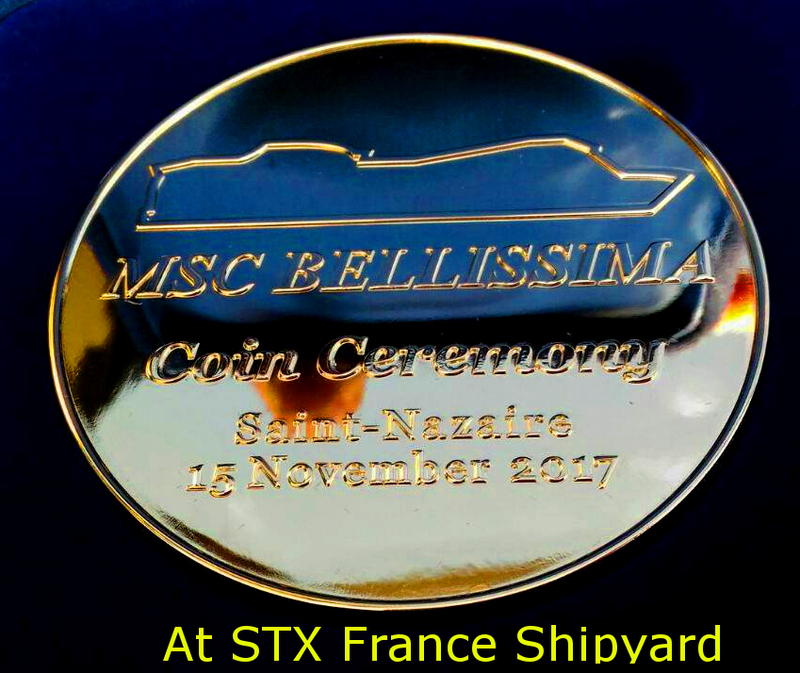 The coin ceremony for the MSC Bellisima to mark the beginning of its construction takes place at St Nazaire shipyard, with 2 coins being placed in a block of the ship for good luck. At the same ceremony it was announced that the new Meraviglia Plus class ship to be built will be called the "MSC Grandiosa". MSC Bellisima will operate from three home ports, Genoa, Barcelona and Marseille. Seventy-five percent of the cabins will have balconies. Gianni Onorato, chief executive officer of MSC Cruises, stated that "MSC Bellisima is a name that embodies the beauty and the magnificence of this entire next generation of MSC Cruises ultramodern mega-ships." MSC plans to release up to eleven next-generation cruise-liners, between 2017 and 2026: so far the only other ship that has been named is the MSC Meraviglia, which launches during June 2017. 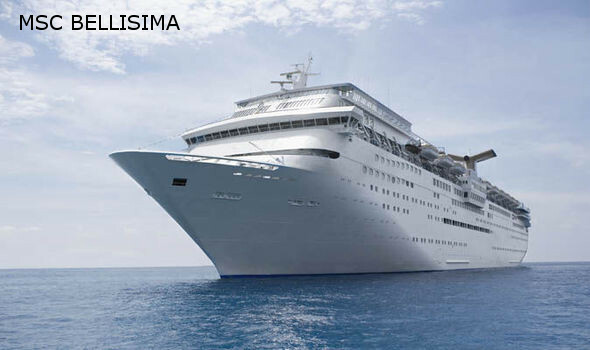 The Bellissima offers full MSC Yacht Club services.